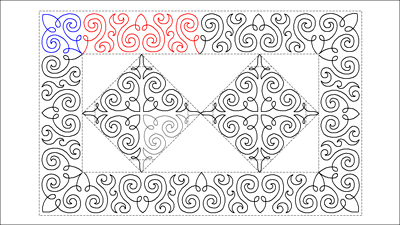 A very swirly type of border to go with any of the patterns within the Amelia range. It is shown here with the Amelia 4 16 tri - a p2p triangle which goes together to form a great square. These patterns will be included in the Amelia set.